Golly, what’s it been, six weeks since my last post?! I missed you. I’ve missed this. American schools are finishing up their summer holidays and I’m abashed to admit the last time I wrote was the beginning of the summer. Still, I’ve good reason. It’s been quite a summer, my friends. 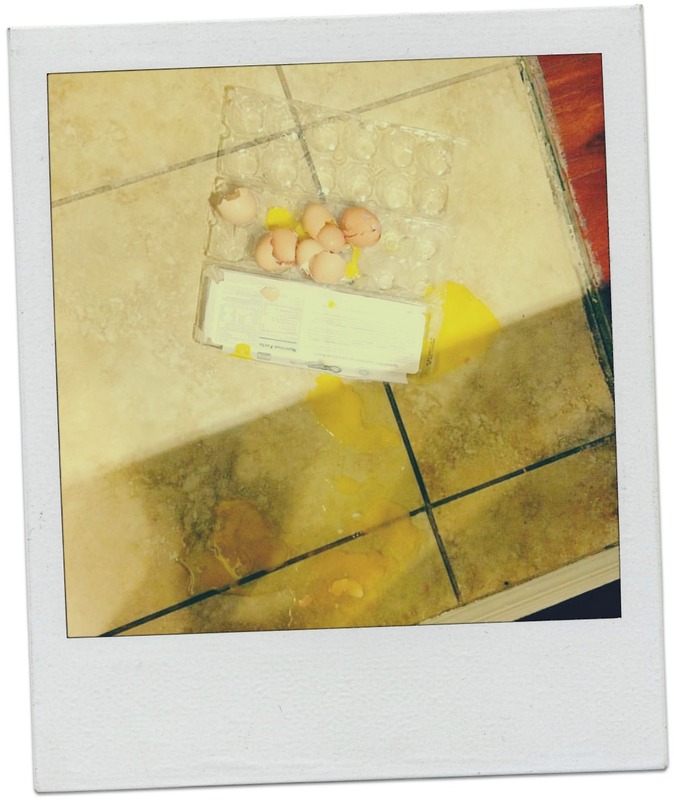 There’s a saying that you can’t make an omelet without breaking a few eggs. This summer’s theme has been breaking eggs. Like cracking eggs and plucking out remnants of shell, pulling faces over slimy insides, these past months have been a bit messy. Yet it’s because we’re finally making that omelet our taste buds have been salivating for. Eric and his work pal have worked tirelessly on our kitchen, negotiating load-bearing walls, wrangling with plumbing, dry-walling, drilling up old tiles. 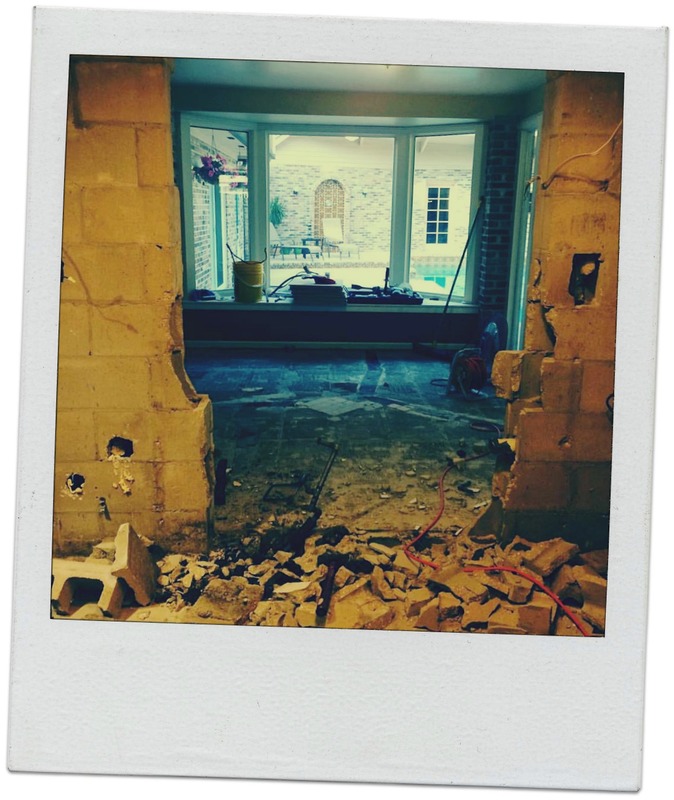 We’re now at the stage where demo of the old kitchen is complete and cabinet styles and potential granite tops are being pored over as we hop from one kitchen supply shop to the next. Although I really dislike mess and chaos, I’ve been pleasantly surprised at my okay-ness with the situation, and its longevity. I’m pretty sure it’s because I’m just so enormously excited to have a new kitchen. I’m vowing to never move again, having invested so much love and time and sweat into our property. And there’s more breaking eggs. I’ve got a job. In the last month our yoga teaching tribe has taken exams, both written and practical, and graduated. I am a yoga teacher. I’ve also taught a few classes to actual real-life-poke-them-they’re-real-paying-students. Having been out of the work force for ten, blush, years it’s been quite the mental challenge. Don’t get me wrong, I can’t believe I’m getting paid to do a ‘job’ I adore. I feel so fulfilled. Its just I’ve had to muster inner reserves of courage and self belief I never knew I had to present myself as a teacher, as well as a student. As with the kitchen, the eggs have been broken now though and they’re beginning to sizzle in the pan. Generally speaking, I’m feeling more in my teaching-feet every time I splat my mat out horizontally at the front of the room. Third egg broken: Eric and I are in couples therapy. We got re-engaged earlier this year and it forced us to take a fresh look at our marriage. We’ve done a lot of changing over the past ten years and when we say ‘I do’ again on some beachy, stress- free day, we want to have visited and worked out the dormant issues in our relationship that have been silently bugging us. We’re seeing a brilliant doctor who uses alternative therapies like hypnosis and acupuncture, all things that we as an open-minded couple celebrate and resonate with. As you’ll know if you’ve ever sank into a counselor’s sofa, it can be uncomfortable and darn right painful to speak your truth and face the past. Especially if your younger years are anything as cringe-worthy as mine. As I always toot, nothing worthwhile ever comes easily. But this summer has been worth every splattered egg, every gunky mess to mop up, because that’s the reality of dream-making: Chaos and stress and compromises and sacrifices and tears and ‘I cant’s’. Its mirrors being held up to us that we want to turn away from, its guilt at not showing up in the way we could have, its late insomniac nights and god-early starts. Change-even positive change- is uncomfortable and difficult. It’s a re-birthing process. Birthing children is the most unglamorous, emotional, challenging and painful experience. Yet it’s necessary to hold those precious bundles at the end of it all. Some Awesome Divine Force or Fate wanted our family to break eggs, and whenever it gets tough, we hold onto the visualization of that end omelet. I’m sincerely grateful for the opportunities to reach for our desires. Too many of us don’t get that luxury. So welcome stress, welcome madness. I know you’ve got marvelous things in store for us. This entry was posted in Domesticity, Relationships, Yoga.